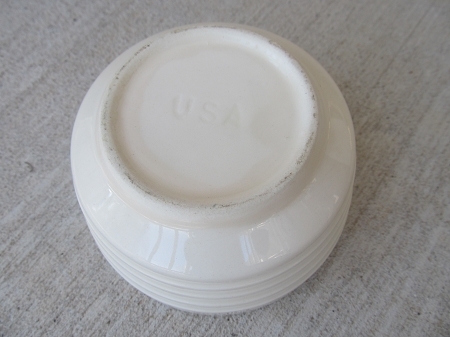 Antique Vintage White USA Stoneware 5 Inch Mixing Bowl. 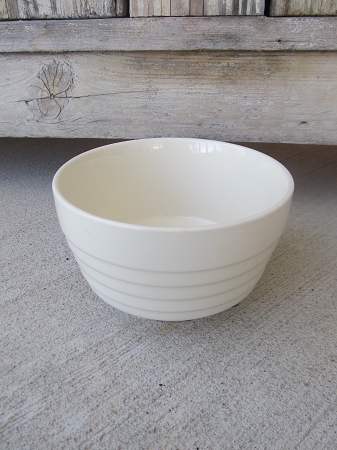 Love these sweet little creamy white farmhouse antique mixing bowls. Has a rib design on side. USA imprinted on bottom of bowl. 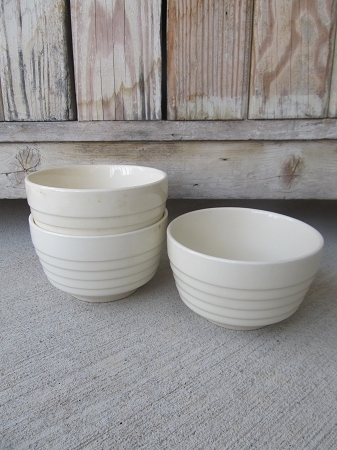 Perfect little farmhouse bowls. Size is 4 3/4" x 3" High. Fabulous little bowl to add to a collection or start one! 2 Available to start.